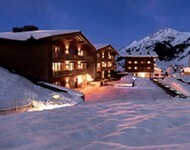 Skiworld offers ski holidays to only the very best snow sure resorts across Europe and North America. We have 35 years' experience in providing exactly what skiers and snowboarders want and we package your holiday to ensure minimum effort and maximum enjoyment for you. We are confident that we can find the ski holiday that suits you and your style of skiing, level of comfort and your budget. 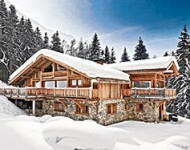 Whether you are looking for a luxury ski holiday, to make a Ski-All-In saving on an all inclusive ski holiday or are on a budget and looking for a ski deal, we have something for everyone. From group ski holidays, to solo ski holidays, family ski holidays over Christmas, New Year, Half Term or Easter skiing or if you want to tailor make your own itinerary, we can help you with that too. Have a look through the pages below, search for a specific holiday using our search bar on the right or give our knowledgeable Ski Specialists a call on 0330 102 8004 for more information, and start planning your perfect ski holiday with Skiworld. We also recommend keeping an eye on our ski deals where you'll find all our latest offers. Use the button below to quickly start searching for your next ski holiday. 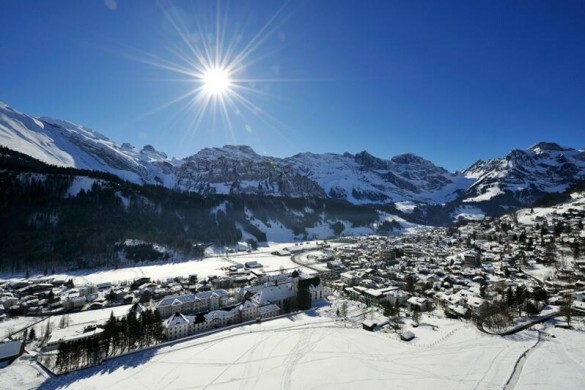 Here are our ski destinations that you could visit this winter. 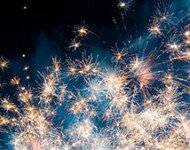 Click through to the destination to learn more about what resorts are available, see deals and accommodation, as well as lots of other useful information. Here are some of the ski areas we offer holidays to in Europe. Even better than a home from home - our chalet hosts will cook and clean for you so you can get on with the important things - riding the mountain and relaxing with a glass of wine. For a flexible ski holiday or to be right in the heart of the action, choose a ski apartment and enjoy your own private mountain home. For the highest levels of service, especially in North America, there is no better option than a ski hotel. 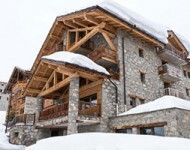 The new generation of ski accommodation has arrived! With everything that makes a ski holiday amazing, Skiworld's new ski lodges are the perfect choice for those with a passion for snow. 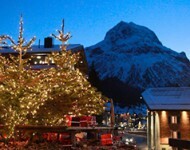 We love to go all out at Christmas in our chalets! We have new Christmas menu's for this season, with some special extra's to help you enjoy the festivities. There really is no better time to get away. 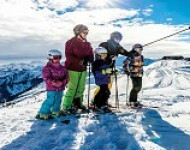 Skiing during half term can be cheaper than you think. We offer great deals on family ski trips over half term with half-price places for children aged 2-11 at a number of our chalets and Ski Lodges. If you’re looking to find fantastic snow and glorious sunshine, an Easter skiing holiday is just the ticket. Easter skiing conditions are consistently fantastic, often bolstered by fresh snow falls which can occur well into April. At Skiworld, we know that skiing with a group can be what makes a chalet ski holiday, so grab your mates and get booking now to take advantage of our fantastic special offers on group ski holidays. Spending time with the kids is important to everyone, but keeping them entertained for a whole week or more could be a little daunting, especially as they get older. A family ski holiday is the perfect excuse, isn't it true that we all turn into big kids when faced with a sledge and a snowball fight?! After a hard day on the slopes in the cold mountain climes, you want to come back to an accommodation where you can really feel pampered and relaxed. Longing for la neige? In need of a quick fix? 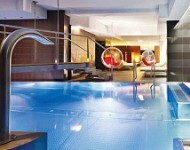 Skiworld’s new Ski Weekends and Short Ski Holidays are just the ticket! Choose from a leisurely stay in Alpe d’Huez, off-piste and partying in Les Deux Alpes, Swiss chic in Verbier or enchantment in Engelberg. 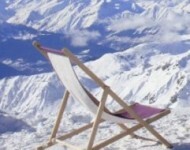 Why Book Your Ski Holiday With Us? The largest independent ski tour operator in the UK, we have over 35 years’ experience selling ski holidays to the top ski resorts throughout Europe and Worldwide. We strive to deliver the best ski holiday experience for every customer which is why we only offer chalet holidays in snow sure resorts in Europe and North America. Run by skiers for skier, we pride ourselves on having staff that are as passionate about skiing as you are! Our Ski Specialists are just a phone call away and will offer you first-hand advice on the very best destination or accommodation for you. Which Ski Holiday Is For You? 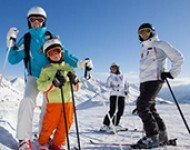 We offer ski holidays to suit every customer from large groups to small parties. As one of the largest chalet operators in the UK we have over 100 chalets to choose from allowing us to offer something to suit everyone - from cosy chalets for small groups to our large ski lodges. If you are looking for a holiday with more flexibility, our carefully chosen hotel and self-catered apartment range offers quality accommodation to suite all budgets. 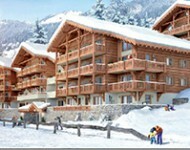 We are happy to offer a Price Promise guarantee on all hotel and self-catered apartment holidays, and on all ski hire. So if you find the same holiday package, or the same rental ski equipment for less elsewhere, we will match the price, promise.